When I first moved the Berkeley I struggled to find places that offered gluten free options. Despite being a foodie town, Berkeley has struggled to get on the gluten free bandwagon. The enthusiasm was, and is, there but the necessary education and safe kitchen practices were simply missing…until now. Four years later, I am pleased to report that Berkeley is impressively gluten free friendly, improving at an almost exponential rate. I feel a sense personal responsibility for Berkeley’s improvement, though not sole responsibility. Berkeley’s success is a result of the collective efforts of individual students, community members and nonprofit organizations that work to promote Celiac awareness. In June, I am moving to Washington DC. I hope to witness and contribute to this, in a sense, evolutionary phenomenom once again. My father came to visit me last week and I made it a point to take him to as many GFF (gluten free friendly) restaurants as possible during his stay. It was during this visit when I realized how much Berkeley has changed in the past four years. I always order the same thing at La Med: pomegranate chicken with hummus and chopped veggies. Although my entree option is delicious, I always feel a twinge of jealously towards the people ordering the Tabbouleh, a Greek dish traditionally made with Bulgur Wheat. Despite having dined at this restaurant over a dozen times, it wasn’t until this most recent trip that La Med told me that they just began offering a GF Tabbouleh, with quinoa serving as a substitute. I made sure to ask my waitress to let the manager and chef know how much the GF option was appreciated! 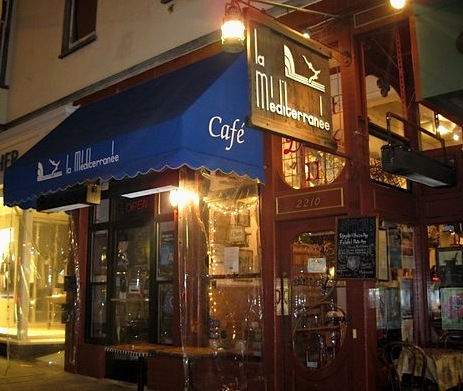 If you visit Berkeley, students will almost invariably point you towards Cream for dessert, an ice-cream sandwich shop that always has a line out the door. 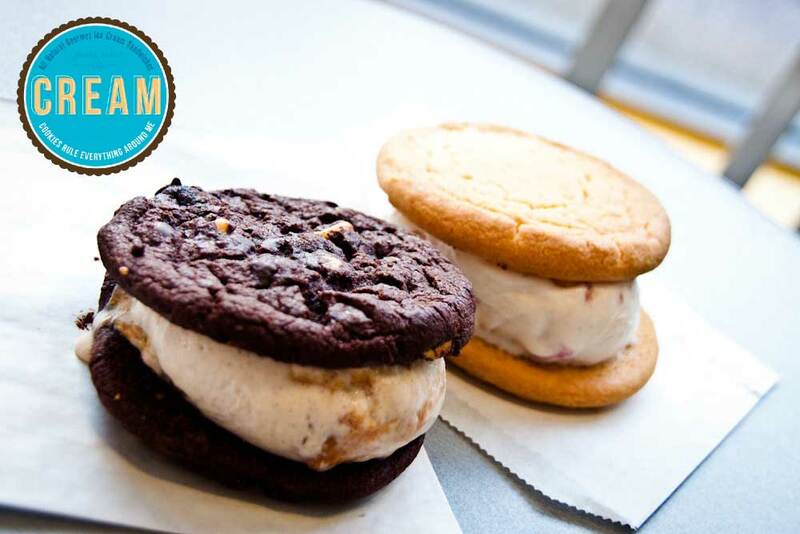 Despite only opening a year or so ago, Cream realized that there is a demand for GF options and began serving GF ice cream sandwiches. I went to see how they handled cross-contamination and, to my surprise, they did quite well! Cream keeps the GF cookies on a shelf above the gluten-containing cookies and toasts them on a designated and elevated rack in the oven. The elevation is particularly important because it protects the gluten free cookies from cross contamination via gravity, the last thing you want are little crumbs of gluten falling onto the designated GF oven rack! 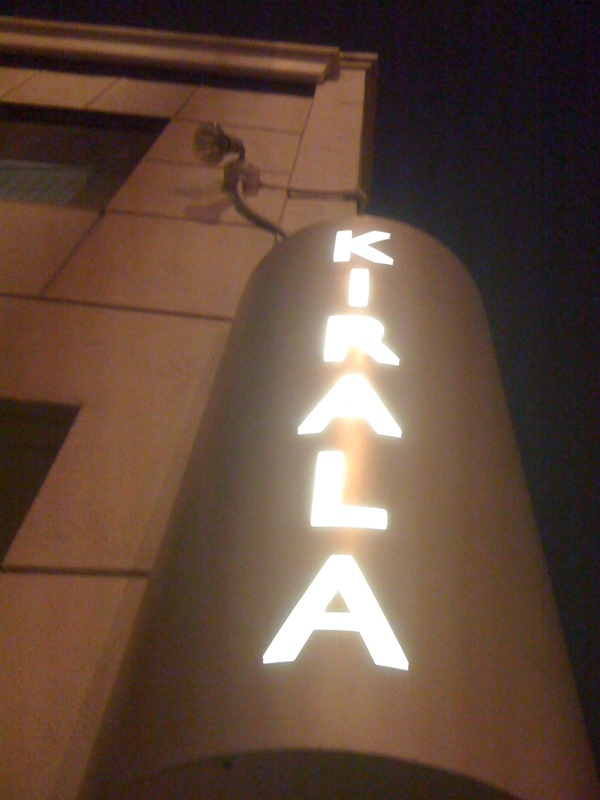 Arguably the best sushi restaurant in Berkeley, Kirala offers GF soy sauce to customers who ask for it! The waitstaff is very educated about what the gluten free diet is and what kind of people will want GF soy sauce. The first time I dined at Kirala, my waiter noticed my packet of Tamari soy sauce and immediately brought me a crystal bottle filled with GF soy sauce. It is rare that I find an Italian restaurant that has a GF option. 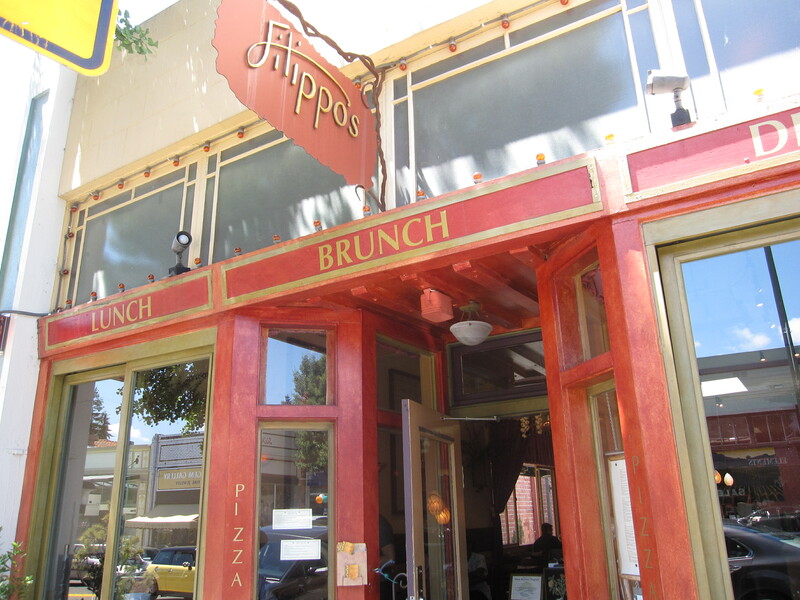 Filippo’s on College Ave. in Berkeley offers a GF gnocchi. Unfortunately they used to cook this GF entree in contaminated pasta water! I found this out the hard way but used my negative experience to improve my community’s GF options. I wrote a letter to the manager explaining what was wrong with their kitchen practice and he followed up with me in person to show me the improvements the restaurant had made for GF customers. Click here to view sample letters to restaurants about cross contamination concerns. When I talked to Filipo’s about cross-contaomination they had no problem making a change and seemed genuinely glad for the feedback. These are just a couple of examples of how restaurants can make small changes to their establishments to accommodate GF customers. Have GF soy sauce in the back, designate oven racks for GF foods, these are cost-free, low maintenance changes that restaurants can make but, despite being a small change, can make a big difference for many customers. If you have a local restaurant that you used to love before being diagnosed try talking to them about becoming gluten free friendly! If the restaurant seems very interested in catering to the gluten free population tell them about GREAT Kitchens, an official gluten free training program for restaurant kitchens. There is no harm in asking! At worst, you educate a restaurant and get gluten/allergens on their minds and at best you get your favorite restaurant back onto your list of dinner options!